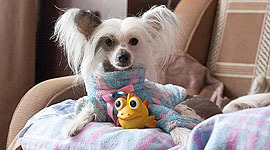 Welcome to a site about breed Chinese crested dog! 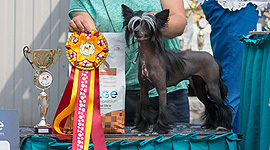 Our chinese crested kennel "Status Imperial" was registered in 2009 with Federation Cynologique Internationale (FCI) and Russian Kynological Federation (RKF). We live together with our dogs as they are a part of our life & family. We feed all our dogs with super premium dog-food. 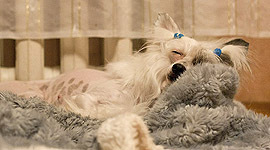 All our dogs are timely vaccinated. 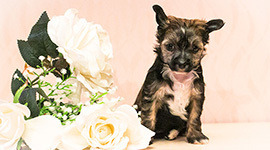 We guarantee the support to all the owners of our puppies. Our dogs have the best blood lines of England, America and Poland. 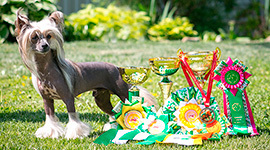 In pedigree our dogs champions of the great kennels: Moonswift, Blandora, Razzmatazz, N'Co, Crest-Vue, von Shinbashi, Sasquehanna, Germanika, Gingery's. 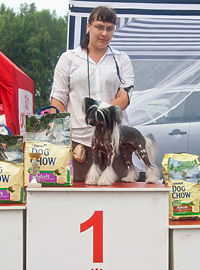 All our dogs are regularly involved in dog-show and have Champion titles. 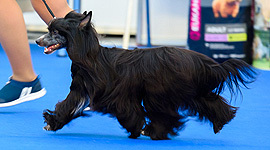 We pay very much attention handling and show training. We get nice litters. Our dogs have excellent personality. 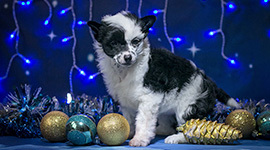 We guarantee the support to all the owners of our puppies. 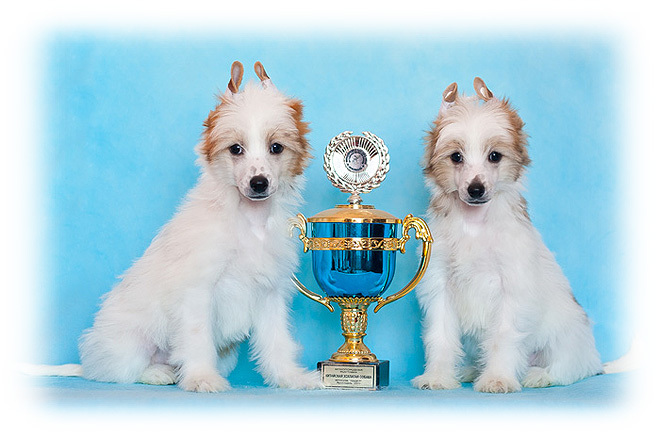 We also will support the dogs of our breeding in handling and grooming. 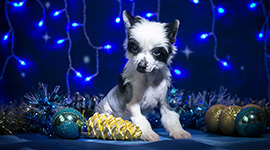 If you want to purchase Chinese Crested puppy please visit the pages of puppies for sale. Perhaps you will find what you are looking for!